This super installation of the Franco Belge Monaco stove took place in a property in Headley, Hampshire. 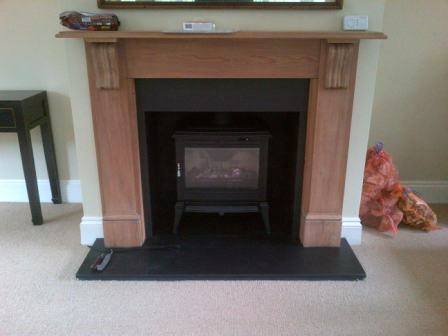 It was our task to fit the Franco Belge stove into an existing fireplace. The Monaco multi fuel stove is a beautiful looking stove. It is a delicate balance of a classic looking stove with contemporary feel. This contemporary feel comes from the clean lines and large glass door. In addition the Monaco has some amazing features including the powerful airwash system. Finally, it is Defra Approved and it is suitable use in smoke control zones. For more information about installing the Franco Belge Monaco stove, contact The Billington Partnership.